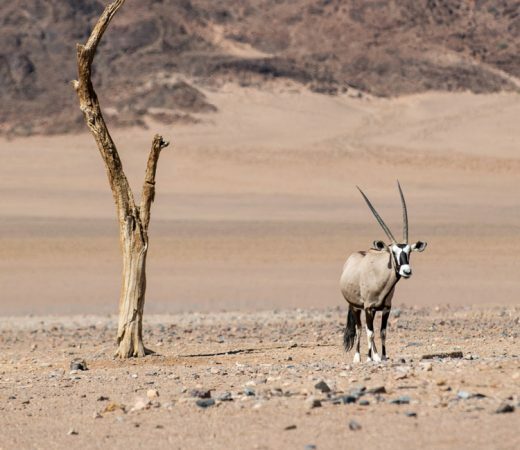 Stretching the length of Namibia’s west coast, the frigid waters of the wild Atlantic Ocean meet the swirling sands of the Namib desert on what is known as the Skeleton Coast. It’s the world’s largest shipping graveyard, courtesy of the notoriously treacherous fog and violent weather systems which cause havoc for international sailors navigating their way around the infamous coastal waters.The ultimate way to experience this formidable landscape of shipwrecks, animal bones and relics of the abandoned diamond industry?A two-wheeled desert traverse on fat tyres. 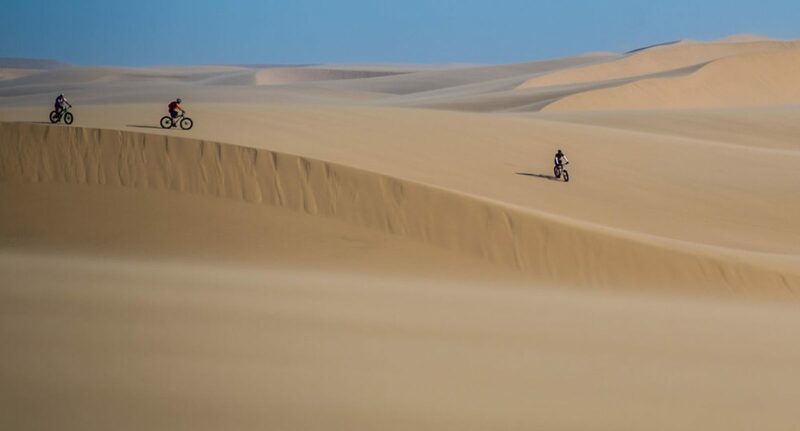 Exposed to the howling winds, endless sand and volatile weather systems of the Skeleton Coast, this adventure is not for the faint of heart. 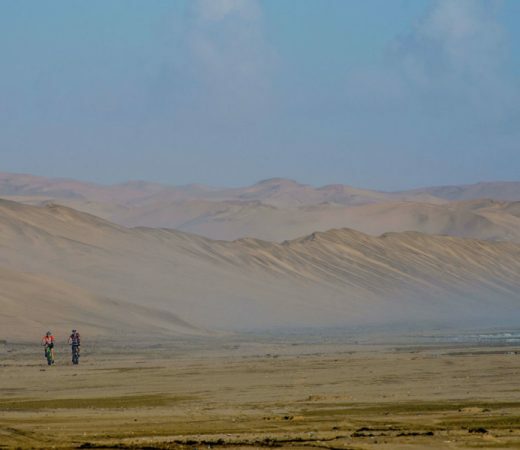 With the ocean on your left and the vast desert on your right, this fat bike traverse will see you pedal north along the shoreline of the Namib desert. Self-propelled, you’ll experience this infamous coastline at the perfect pace – slow enough to really engage with your environment still covering significant distances on a daily basis. With the opportunity to spot wild animals both land based and sea faring, you’ll explore the deserted shipwrecks of the world’s largest shipping graveyard and discover the bones of a bygone whale hunting era. Pitching tents on the sand each night as you progress north, you’ll converge around the fire under a starlit canopy, recharging for the next day ahead. Discover an infamous barren landscape. Experience parts of the desert which are otherwise inaccessible. Explore the world’s biggest shipping graveyard. Travel by the most adventurous form of bicycle, the fat bike. Witness huge seal populations on the beaches. Experience the reward of self-propelled travel. Sleep under the stars and in rustic lodges. Keep an eye out for oryx, jackal, desert elephant and lion. The rise of adventure cycling has led to an evolution in bicycle design and with the allure of exploring more extreme landscapes came the introduction of the fat bike: a two wheeled all-terrain pedal powered vehicle. Fat bikes are the perfect tool to inspire confidence in exploration. While regular bikes confine themselves to the trails or even asphalt, fat bikes relish the freedom. Extremely wide tires offer immense traction and their strong steel frames means they’ll accept any challenge you throw their way. 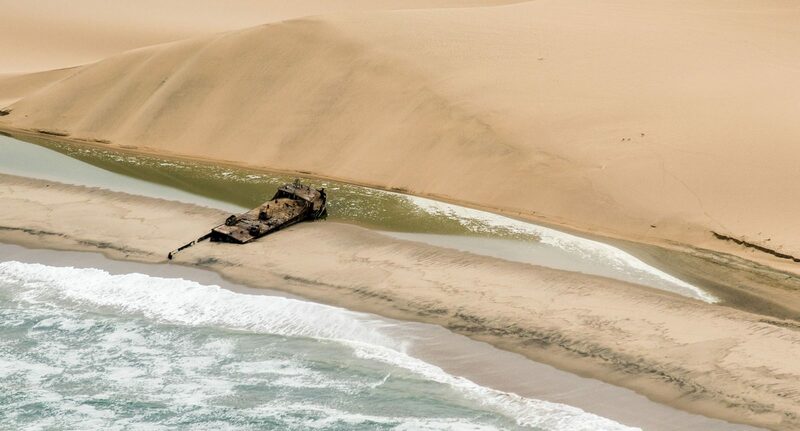 Historically referred to by Namibian bushman as “The Land God Made in Anger” and by Portuguese sailors as “The Gates of Hell”, on Namibia’s northern Atlantic coast sits the Skeleton Coast. A foggy, barren coastal landscape once littered with whale and seal bones, thanks to a formerly thriving whaling industry, here the ocean meets the vast Namib desert with a littering of eery rusting shipwrecks. Having cycled across the majority of Namibia including several races, the experienced guides are as excited as ever about cycling across the desert. Local to the country, they have an in-depth contextual understanding of the region’s diverse wildlife and local culture which will no doubt add to the experience. This adventure has an activity rating of Tough. 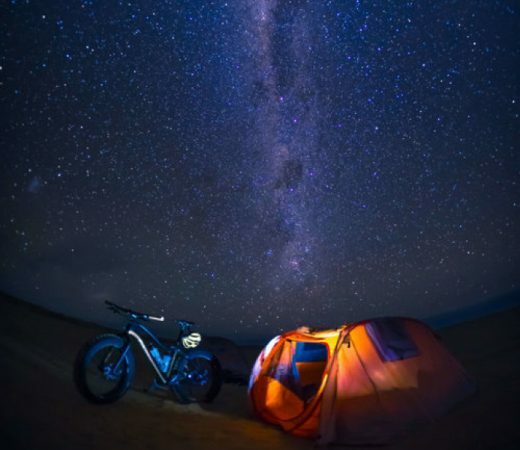 At this level, we recommend you have previous experience in long days on the bike, are prepared for multi-day cycling and maintain a good level of fitness, as the environment is remote and the desert heat intense. There are flexible options to change the pace and daily itinerary of this adventure to meet your experience levels, but long days in the saddle make this ideal for Intermediate level riders and above. While in the depths of the desert, away from towns or villages, accommodation will be makeshift camps, there will also be chances to stay at local guesthouses as well as permanent camps with added comfort and facilities in place.